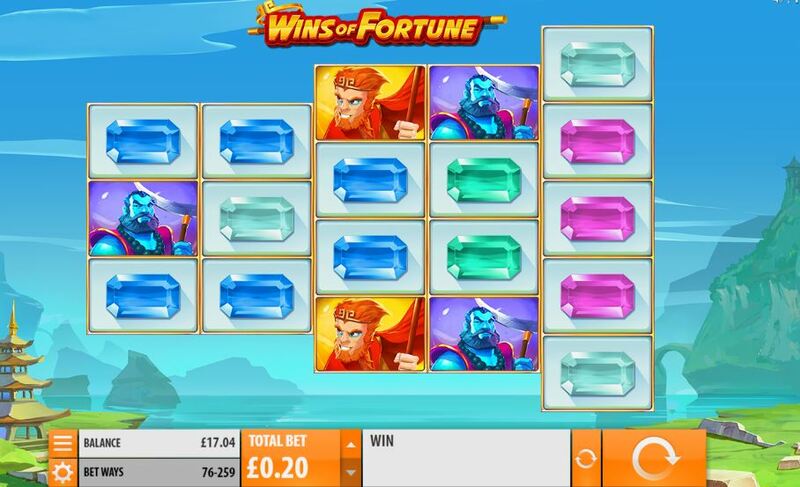 If you’re looking for an online slots game with a promising title then Wins of Fortune is perfect for you. The stunning ocean backdrop and surrounding mountains provide a peaceful setting for real money play. Quickspin are the makers of this unique ever-changing 5-reel slot and as you gradually hit winning spins, the number of ways in which you can win increases. The base game respins and Super Respin feature keeps the winning combinations coming thick and fast. Enjoy the bliss valleys of East Asia and experience this new slot format. Despite the game play from Wins of Fortune being fast-paced, the tranquil backdrop and blissful music will keep you calm. Although those two vibes don’t usually mix, Quickspin have managed to make it work. * RESPINS ON ANY WIN – If you hit a winning combination in the base game, you’ll receive a free respin. The reel furthest to the left is replaced by a 5x5 reel furthest to the right and the remaining winning symbols will stick for the respin. Each respin increases the ways in which you can win. The respins will come to an end when you hit a losing spin. * SUPER RESPIN FEATURE – If you reach the stage of having a fourth winning respin, the Super Respin FEATURE will be activated. 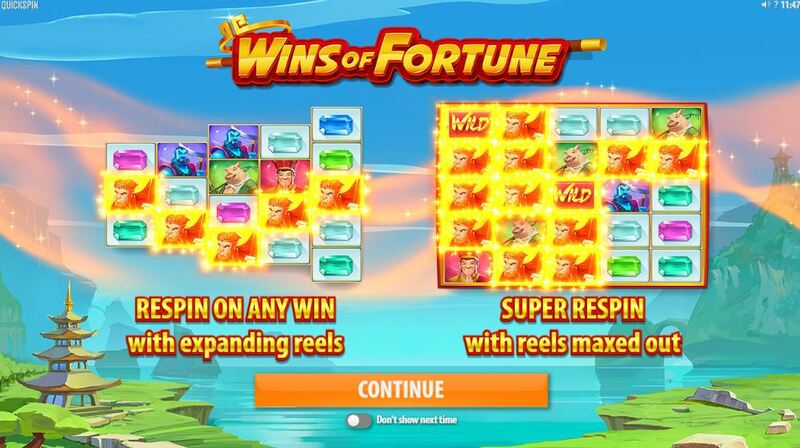 In this feature, all winning symbols will remain on the reels and the game will be keep spinning until you don’t hit any additional winning symbols. Wins of Fortune veers away from the stereotypical slot setup and has a completely different design to most video slots. This Quickspin creation can reach up to 259 ways to win with the exciting respin feature.